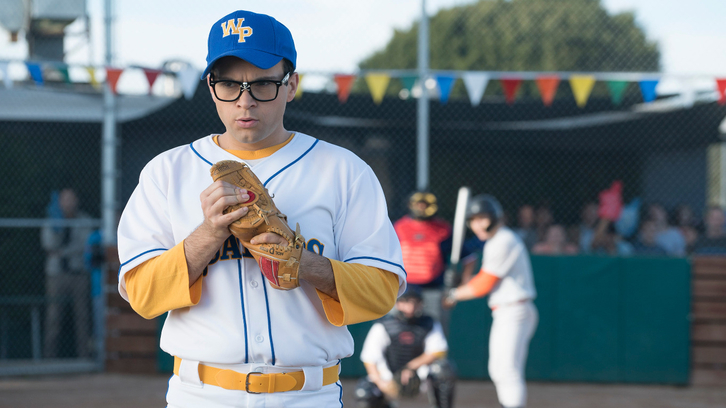 “Major League” – Adam is initially terrified when he and his friends are recruited to the William Penn Academy baseball team, but he quickly catches on to Principal Ball’s master plan. A short-sighted Barry is in denial about his pitching skills. Meanwhile, Geoff’s dad interferes in his relationship with Erica on an all-new episode of “The Goldbergs,” airing WEDNESDAY, JAN. 30 (8:00–8:30 p.m. EST), on The ABC Television Network, streaming and on demand. “Major League” was written by Alex Barnow and directed by Lea Thompson.